Wow, it’s been 20 days since I last blogged here! I’ve just been so busy lately and still have tons of stuff to write up for you all. I’ve been to the Future of Web Apps, Playful 2010, BoardGameCamp and lots of other events I really need to write about! I’m going to try to get back into my blogging rhythm, but with my trip to San Francisco less than two weeks away, I think it might only be getting busier for me! Anyhow, let’s get back to the actual topic of this post: books! 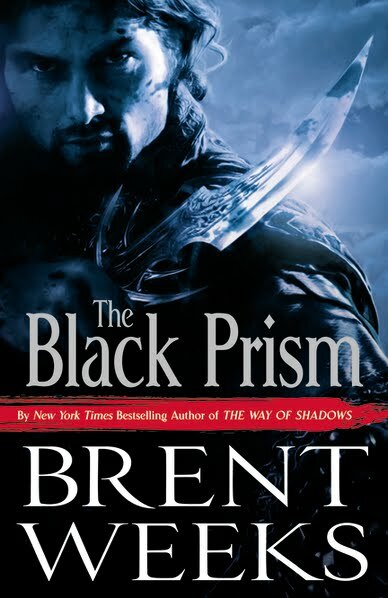 I’ve just started reading The Black Prism by Brent Weeks and so far it looks awesome. It’s set in a world where magic is formed out of light; most mages can only draft magic out of 1 colour from the colour spectrum (think: rainbows) and which colour they can draft determines the type of magic they can do. It’s an interesting concept and I always love reading about worlds that are built up so differently. Gavin Guile is the Prism, the most powerful man in the world. He is high priest and emperor, a man whose power, wit, and charm are all that preserves a tenuous peace. But Prisms never last, and Guile knows exactly how long he has left to live: Five years to achieve five impossible goals. But when Guile discovers he has a son, born in a far kingdom after the war that put him in power, he must decide how much he’s willing to pay to protect a secret that could tear his world apart. The only problem: it’s only out in hard cover right now and the paperback version only comes out in September next year! It’s only £8 on Amazon which isn’t too bad for a hardcover, but I still prefer reading paperback myself. Plus they take up so much less space!